Apart from the rare privilege of going on a Gorilla safari in Uganda, guests can explore lesser known areas, see other rare creatures and experience local customs and culture. Bwindi Impenetrable Forest is the focus for a Gorilla safari in Uganda, but visitors can also enjoy excellent birding, forest walks, community interaction and a visit to a Pygmy Tribe. 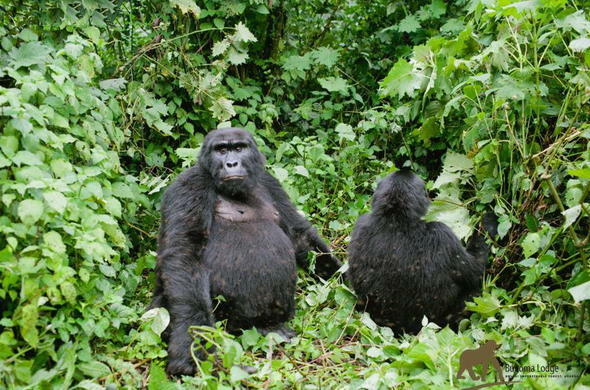 Special permits are required for a Gorilla safari in Uganda. Only 8 visitors per family of Gorillas (one visit per day), are privileged to spend up to an hour observing these rare creatures in their natural habitat. The permits can be arranged in advance with Buhoma Lodge. Guests can also set off on a forest walk in the Bwindi Impenetrable Forest, passing through the southern area known as Nkuringo. This is an opportunity to savour and enjoy this vast ancient tropical rain forest. For bird-watching enthusiasts, sightings can be enjoyed around the lodge or on walks in the forest with local qualified guides. There over 350 recorded bird species in this forest area. Of particular interest are 23 species endemic to the Albertine Rift, of which at least 14 are recorded no where else in Uganda. For rare cultural interaction, a visit to the nearby Batwa Pygmy Tribe to experience their unique culture and traditional dances is highly recommended. Guests can also embark on a 3 hour community walk through the local villages and lands. Community walks can be tailored to suit the time available, enabling guests to visit the local herbalist, see how the villagers grow their food crops and brew local gin (waragi) from bananas, as well as browse for curios. These walks can be with or without guides. Bwindi Impenetrable Forest can be visited all year. For Gorilla Trekking, it is important to pre-purchase the relevant permits from the lodge to avoid disappointment. Other activities can generally be organised on arrival. At Buhoma Lodge, children are welcome and family friendly rates are available.